Doyle. Photo by Gabe Lugo. 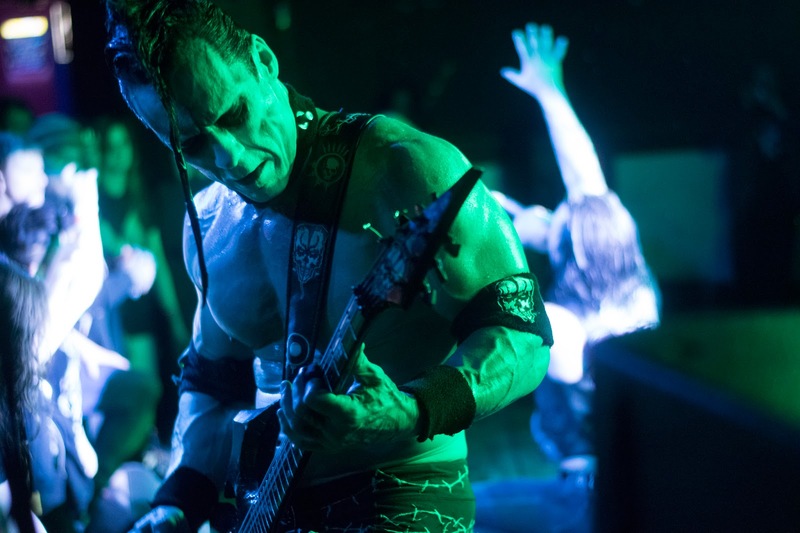 Doyle, of legendary punk outfit the Misfits, brought his horror-themed punk and heavy metal to the Aftershock on Sunday night. The notorious guitarist and his band put on an action-packed show for a crowd of young and old fans alike, delivering fast paced cuts or "love songs" as singer Alex "Wolfman" Story sarcastically referred to them. The high-energy set featured a wide range of songs from the band's collection, served with the same ferocity and intensity that allowed Doyle's previous bands to prosper. Doyle and his trusty Annihilator axe didn't fail in dishing out the punk rock energy his fans expected of him.